Acting Chief Justice Lombe Chibesakunda has been petitioned to constitute a tribunal to investigate Justice Minister Wynter Kabimba for abuse of office when he used a government legal opinion and sought to influence the Supreme Court to pursue a private agenda of the Patriotic Front. 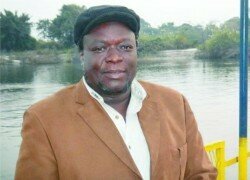 Renowned civil rights activist Brebner Changala and former Solwezi Central Member of Parliament Lucky Mulusa have petitioned Justice Chibesakunda to establish a tribunal against Kabimba who is secretary general of the ruling PF so that he could explain why he had used government legal opinion offered to him in his capacity as Justice Minister by Solicitor General Musa Mwenye on the nullification of the Petauke Central, Malambo and Mulobezi parliamentary seats. In a letter dated December 24th 2013 addressed to the Acting Chief Justice Chibesakunda, Changala and Mulusa have applied that the tribunal to be established should investigate whether or not Kabimba as Justice Minister had breached his oath of secrecy when he released a classified government legal opinion for use by the PF. Changala and Mulusa are demanding that Kabimba should be made to explain through the tribunal whether or not he was in breach of the law when he used government legal opinion to pursue a private agenda through Leonard Banda who was a private litigant. The duo would also want Kabimba to be investigated on whether or not the letter on a PF letterhead by Kabimba to the lawyers of the Patriotic Front and copied to Acting Chief Justice Chibesakunda constituted interference with the independence of the judiciary as guaranteed by the constitution. Changala and Mulusa have asked that the tribunal that would be constituted should recommend an appropriate action on the findings of the investigations to government. “Dear Honourable Chief Justice, in the interest of the public, we hereby wish to apply for the establishment of a tribunal to investigate whether or not the Minister of Justice Wynter Kabimba abused his office when he used a government legal opinion offered to him in his capacity as Minister of Justice by Solicitor Genral Musa Mewnye to pursue a private agenda of the Patriotic Front and subsequently by a private litigant. We would want the tribunal so established to investigate whether or not the letter copied to the Acting Chief Justice by Kabimba on a Patriotic Front letterhead attaching a legal opinion of the Solicitor General constituted an interence with the independence of the judiciary as guaranteed by the constitution,” Changala and Mulusa said in their letter. The duo said for the purpose of the tribunal to be established, they intended to subpoena Justice Chibesakunda, Solicitor General Musa Mwenye, Attorney General Mumba Malila, and the deputy registrar of the Supreme Court Phiri. Changala and Mulusa also intend to subpoena Justice Ireen Mambilima; Bonaventure Mutale, the PF lawyer; Terry Musonda, the judiciary public relations officer; Yoram Mwale, Master of the Supreme Court, Leonard Banda, Nevers Mumba, the MMD president; and Richard Sakala.